Audrey Gaughran, Amnesty International’s Director for Global Issues, who signed the statement, said, “Refusing to comply with the summons would be to treat the Indian justice system with contempt, undermining Dow’s credibility as an investor in India.” For 13 years, US chemical giant Dow has denied that it has any responsibility towards the victims and survivors of Bhopal. In 2001, Dow acquired Union Carbide Corporation (UCC), the US-based multinational that was majority owner of the company that operated the plant at the time of the leak. The statement said, “Many people in Bhopal still suffer from serious health problems. 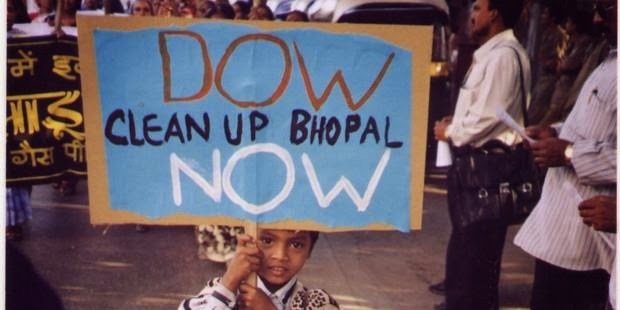 Pollution from the abandoned site has contaminated the local water supply and poses an ongoing threat to the health of surrounding communities.” The criminal summons were issued by the Chief Judicial Magistrate of Bhopal, is the third such summons to US-based Dow. The company has been called to appear on November 12, 2014, to explain why it has not produced its wholly-owned subsidiary UCC before the court. Meanwhile, Dow has been trying to invest in India. Its first effort was in 2008, when it entered into an agreement with the state-run caustic soda major Gujarat Alkalies and Chemicals Ltd (GACL) to set up 100,000 tonnes per annum (TPA) at Dahej in Gujarat. The GACL snapped the deal in 2012 after it found that Dow was taking “so much time in implementing the project.” Dow was one of the important international participants in the Vibrant Gujarat summit of January 2009.